From BAMOER comes this stylish and beautiful ladies ring. Perfect for both casual and formal occasions such as weddings, parties, interviews, work, graduations, etc. 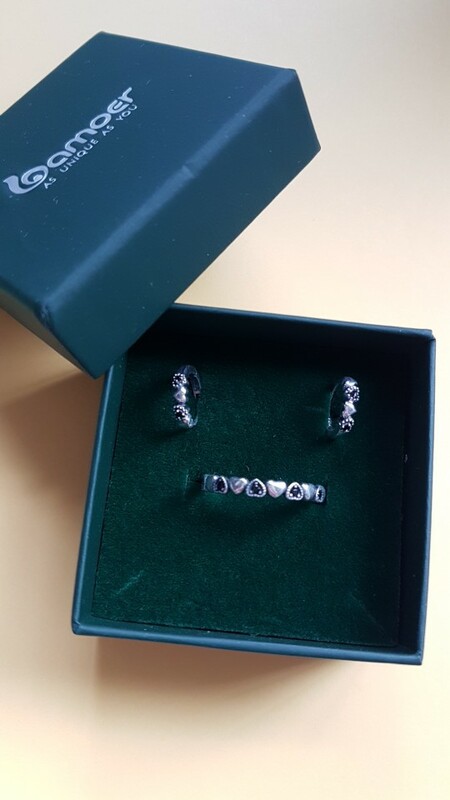 The ring is made from 100% sterling silver with 92.5% purity shaped into tiny little hearts with every other heart pave set with high quality black cubic zirconia stones. The ring is then polished to a high finish. The result is an exquisite looking ring. Available in several different sizes (6, 7, 8, 9) to suit personal preference and would make an excellent present for the lady or ladies in your life, be it a friend, family member or loved one. Me gusta mucho. 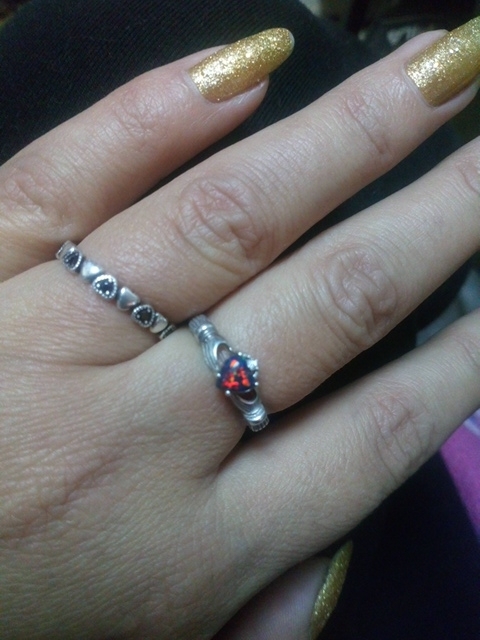 He repetido esta compra del anillo. Repetiré con otros modelos. Ha llegado en sólo 9 días!! En una cajita. Perfecto! !